Editor's Note: Check out James's music. James on tour at the Cape. 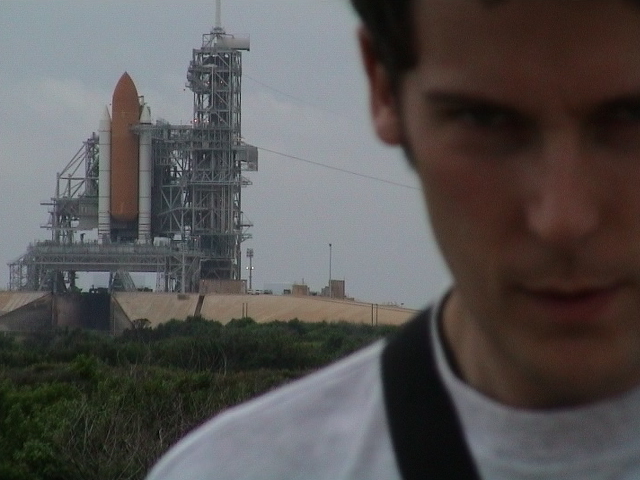 but, as I remember, STS 104 (Atlantis) was delayed and rescheduled for 12 July. Perfect for my visit, so we went to see it instead! Night launch - the sky turned blue as it rose!" Editor's Note: The launch of STS 104 was at 0504 EDT, 1 hour 35 minutes before local dawn.